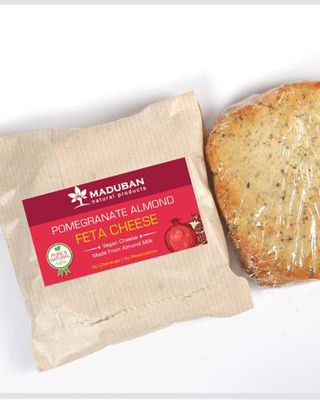 Maduban has power-packed pomegranate energy bar with healthy ingredients including dried fruits, nuts, and seeds. Our granola bars do not have any added sugar, preservatives, or flavors of any kind. They are sure to put a spring in your step. 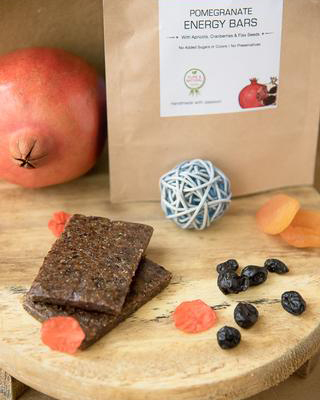 Get re-energized so you can get your stuff done, and they taste great too! 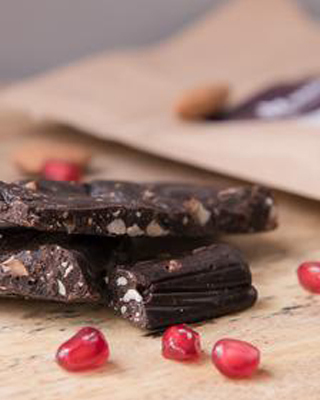 Handmade Granola pomegranate energy Bar (Energy Bars) that contain antioxidant-rich ingredients like dried fruits, nuts and seeds. 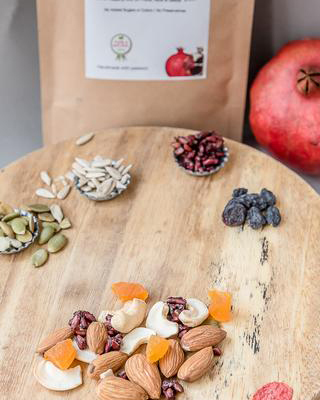 Dried Pomegranate, Cranberries, Apricots, Roasted Almonds, Flax Seeds & Oats. 3 bars in a paper pouch. 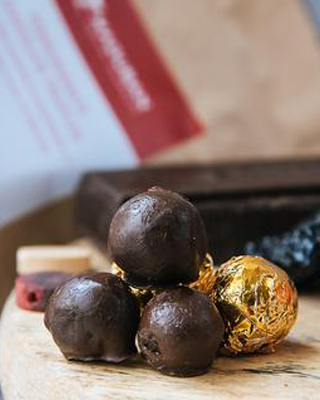 Each bar weighs not less than 40 g.
To be stored in a refrigerator for longer shelf life.